GLOUCESTER — Chief Leonard Campanello reports that the Gloucester Police Department, arrested a career drug dealer earlier this week with over $1,000 worth of heroin concealed in her undergarments. Police arrested LANGLEY on Nov. 2 at her home after a lengthy investigation into reports of drug dealing at her residence. This is not the first time Gloucester Police have come in contact with the suspect. They have had numerous dealings with LANGLEY over the past 14 years for prior arrests and calls for service. In response to numerous reports from residents, Gloucester Police conducted surveillance of her residence and were able to set up controlled buys on Oct. 20 and Oct. 29. Police then executed a search warrant at LANGLEY’S home on Nov. 2 and placed her under arrest. 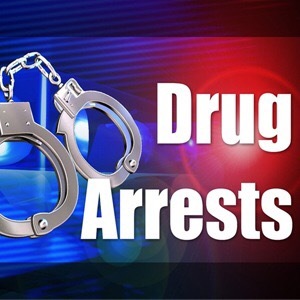 Through prior dealings with the suspect, going back to last year, police knew that she has a history of picking up drugs outside the city and concealing it in her clothing and undergarments as she brings it into the city. At her arrest on Nov. 2, LANGLEY voluntarily turned over drugs that were concealed in her bra. The seized drugs have a value of approximately $1,400. She was held at the Gloucester Police Department pending her arraignment at Gloucester District Court.